Lytro’s amazing “light field” camera tech has everyone from pro photogs to casual clickers abuzz. But the innovations now en route suggest that the company’s best is yet to come. 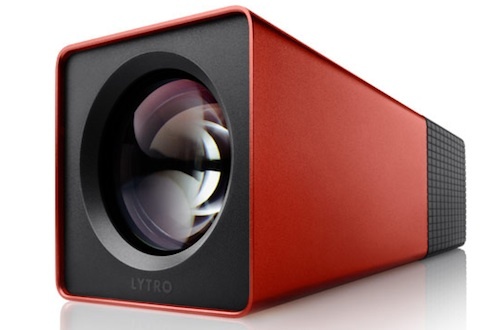 That video above explains the new photography that Lytro is bringing the world. Click anywhere in the photos it produces and you’ll instantly refocus the image at that point. And you can zoom in, too. The beauty part? It’s no million-dollar, Matrix-like special effect–just an image snapped in a single second, like any other digital photo. The technology behind it–plenoptics or light field imaging–got the tech press all excited about the “focus-free” powers of the coming Lytro camera. Then, when Lytro revealed the product, buzz picked up anew. The thing is, the real excitement about this technology is yet to come. And when it does, that’s when everything about imaging may truly change. Most of us grabbed onto the tech’s easiest aspect when they first heard about Lytro–the fact that unlike current camera technology, making a photograph doesn’t require you to focus on something at the moment of snapping. This has meaningful implications, from new ways to consume photos to a faster time between turning a camera on and snapping a photo. But this misses a huge amount of technology and science in the invention. Some of the remarkable science is revealed in the first Lytro cameras, yet to go on sale, but which were shown last month. The unusual minimalist form of the units, unlike any other camera you’ve ever seen, highlights that this is a new photography type. The format of the zoom lenses and the plenoptic array that’s the secret to capturing all the light “rays” from a scene rather than light falling on pixels (as in a typical digital camera) more or less shaped the design. And the final third of the unit, which contains the complex electronics that processes the data (which in development required hundreds of cameras hooked up to a supercomputer) ends with a touchscreen that instantly lets you try out the effect. Speaking with Fast Company Lytro CEO Ren Ng noted this was a bold decision, party shaped by a desire to be “open to whatever the [design] form might take, as long as it serves the end photographic goal…and to focus more on the end goal of the photographer.” Because Lytro is speaking a new language of photography, it let the company make this design move in a way that perhaps other firms can’t because they’re locked into a design choice and an extensive userbase that is already familiar and comfortable with historic designs. Ng says interest has spanned the range from professional photographers to casual clickers to uncommon consumers like forensic photographers and those interested in “scientific imaging.” This means thousands of light field cameras will hit the scene quickly, and then very soon you’ll start seeing the images crop up in websites and apps and online newspapers. The phenomenon will likely go viral because of its unique powers and futuristic feel. Right away that’s going to change photography, in the same transformative way digital photography has all but killed film photography. Other manufacturers will follow in Lytro’s footsteps because, as Ng notes, “across very large parts of the industry, folks in positions of expertise and leadership realize that light fields are the future of imaging.” Then it’s just a question of “large companies with a large, stable market” to resolve the “classic innovator’s dilemma” and dramatically pivot–which will take a longer time, but is probably inevitable. Lytro set out to deliver the whole package from camera to software to the entire ecosystem of experiencing the photos is that Ng’s team “believes the technology requires a transformational product not an incremental product to bring the benefits to the end consumer.” That is, Lytro is trying to be the iPod of camera tech. We know the megapixel war in conventional digital photography has changed digital cameras yearly, and has moved onto a new front: smartphones. As these cameras get better, and get carried everywhere “they really call into question the relevance of point and shoot cameras,” Ng agrees, and “the dedicated camera market is backed into a corner” by the advances in smartphone imaging–even if the state of the art of these new tiny systems is compromised, optically, by their small size. Needless to say, just as Lytro is bringing fresh innovation to the handheld game and has an expansive future, smartphone implementations are “definitely on the roadmap” because as Lytro’s research has shown “people are sharing pictures to social networks from mobile phones” as much as they’re “passionate about picture taking” with normal units. But the “implications for video are terrific,” Ng added, “for regular folks trying to shoot video or even for reality TV folks, for that matter, [where] focussing is basically impossible because you don’t know who’s going to do something interesting next because you don’t have a script.” Lytro video would instantly solve that problem, and as well as enabling a whole panoply of artistic and special effects that could make bullet-time look like an amateurish effort, the ability to shoot a movie digitally without worrying about focus could save huge amounts of time and money too.